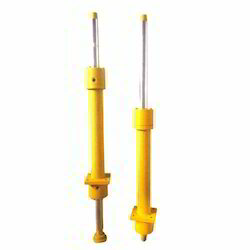 Being one of the largest companies, we are engaged in manufacturing & supplying a quality range of Double Acting Hydraulic Cylinders. The complete range our products are made up of high quality raw material bought by the reliable dealers of the industry. All these products are stringently tested till the time of final dispatch and ensure longer functional life. 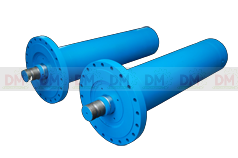 Our clients can avail from us a wide range of Double Acting Hydraulic Cylinders, as we are engaged in manufacturing & supplying these products in bulk. These products are strong and sturdy in nature and offer trouble-free performance with optimum results. Our products are technically accurate and are precise in design. We ensure timely delivery of our products. Knowing us as amongst the leading companies, we are engaged in manufacturing & supplying a wide range of Telescopic Hydraulic Cylinders. These products are sturdily constructed and offer hassle-free performance. Smooth functioning and excellent finishing are considered some of the salient specifications of these products. Our products are available in different sizes and specifications. 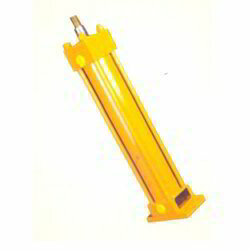 We are engaged in offering a wide array of Hydraulic Cylinder. The offered range is manufactured by our expert professionals by using components and advanced technology. Our offered product is mostly used to convert fluid power into linear mechanical force and motion .This product is stringently tested by our professionals in order to deliver defect free product to our clients' end. Moreover, we provide this range to our customers at market leading prices. 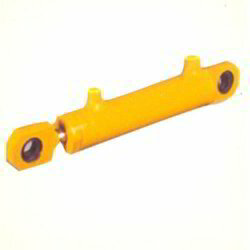 Looking for Double Acting Hydraulic Cylinders ?